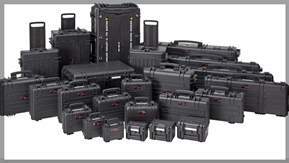 The ultimate range of durable, hard cases are suited as Transit Cases or Protective Cases. 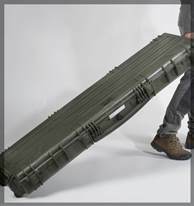 These Heavy Duty, virtually indestructible equipment cases provide the ideal solution to transporting expensive, delicate equipment for applications such as: Rifle Case, Gun Case, Pistol Case, Equipment Case, Camera Case, Road Case, Tool Case, Computer Case, giving a high level of dust proof, waterproof protection/ packaging. 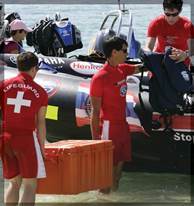 Cases can be supplied empty or foam filled with pluck-out foam. These protective cases have a few unique features such as counter balance ribbed supports to prevent cases toppling backwards when the lid is opened. Certain models have removable lids to make it easier to build into the case. In addition to this, Explorer Cases have clip in panel mounts to allow a panel to be mounted in the case without any loss to integrity of the case. The toggle pivot design to the latch makes opening the latch easier yet tightly holds case shut. 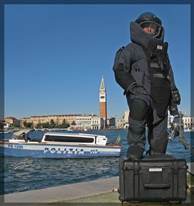 The Explorer Cases have been subjected to a series of tests to prove their suitability for use in the most extreme and hazardous applications and insure they meet the exacting standards of: IP67 Dustproof â€“ Waterproof; Defence Standard 1-41 Level J; STANAG 4280 (edition 2); Conformity with Directive 2002/95/EC. 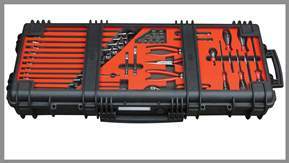 Custom foam cutting offered in-house to protect sensitive equipment for all brands of transit cases including the Explorer Cases, Pelican Cases, Storm Cases, Nanook Cases and HPRC Cases. 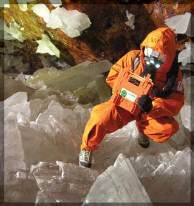 There is no doubt Explorer Cases are the rugged case of choice.